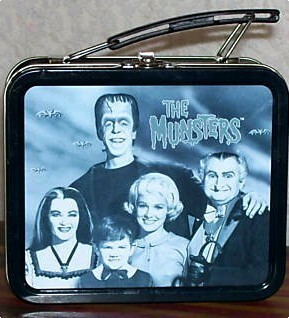 The Munsters lunchbox. This is not the 1965 vintage lunchbox. This was released in 1994 to celebrate The Munsters 30th anniversary.. Wallpaper and background images in the Lunch Boxes club tagged: the munsters tv series lunchbox photos.